By his captors’ past form, journalist Jumpei Yasuda’s plight could be drawn out. It is thought he is being held by al-Qaida’s Syria wing, the Nusra Front, possibly for ransom. “Jabhat al-Nusra usually make use of hostages to conduct prisoner swaps or gain benefits, which might be financial,” said Clive Williams, a terrorism expert at the Australian National University in Canberra. “They do not go in for the execution of prisoners or the kind of brutality against some prisoners associated with the Islamic State — although even IS has released more Western prisoners than they have executed. “IS usually only execute Western prisoners from countries that won’t negotiate ransoms, i.e. mainly the U.S. and U.K., but they also executed Kenji Goto and Haruna Yukawa when Japan wasn’t cooperative enough, in their view,” Williams added. Goto and Yukawa were killed early last year by the Islamic State group in a hostage crisis that rocked Japan. Kyodo News said Thursday that the Syrian man who posted the Yasuda video on the Internet received it from a Nusra Front representative, a claim the Japanese government has yet to confirm. The group has not said it is holding him. There is also speculation that an offshoot or an unrelated criminal group operating in Syria has Yasuda. The militant Sunni Jabhat al-Nusra, translated as Nusra Front, is known as one of the best-armed rebel organizations in the Syrian civil war. 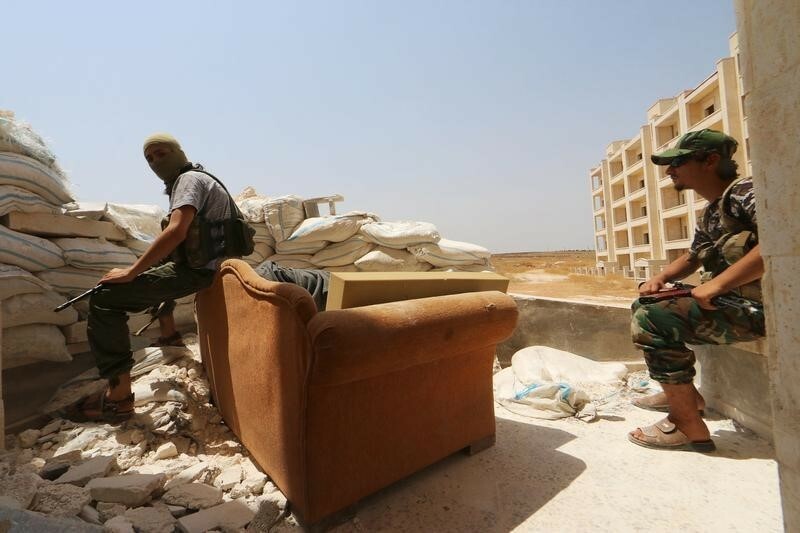 It has about 10,000 fighters, Williams said, making it one of the biggest rebel outfits in Syria. The United States designated it as a terrorist entity in late 2012. Nusra is believed to have been formed in late 2011, months after the conflict broke out, when Abu Bakr al-Baghdadi, the leader of the group then known as al-Qaida in Iraq, sent operative Abu Mohammed al-Golani to Syria to set up jihadi cells in the region. In 2012, Nusra rose to prominence among Syrian rebel groups for its reliable supply of arms, funding and well-trained fighters. Considered relatively successful on the battlefield, Nusra earned the respect and backing of many rebel groups — including many moderate-leaning organizations — early in the war. However, although it has avoided tactics like the brutal executions and sectarian attacks of other rebel groups, Nusra engendered opposition among some Syrians at the beginning of the conflict by imposing strict religious laws in areas it controlled. In 2013, ties between Nusra and its parent organization, al-Qaida in Iraq, began to fray when al-Baghdadi unilaterally attempted to merge the organizations to create the group that would eventually come to be known as the Islamic State. Al-Golani rejected this, instead pledging allegiance to al-Qaida, leading to all-out conflict between the two extremist groups. In 2013 and 2014, Nusra became involved in a number of high-profile kidnapping cases, including a group of Greek Orthodox nuns later released in a prisoner exchange. The nuns were later quoted saying they were treated well. In August 2014, Nusra was involved in the hostage-taking of Lebanese soldiers, several of whom were killed when the group’s demands that Hezbollah fighters leave the country were not met. Later that month, it released American journalist Peter Theo Curtis after holding him for almost two years. However, days later Nusra kidnapped 45 Fijian U.N. peacekeepers on the Syrian-Israeli border, claiming that the peacekeepers were aiding the forces of Syria President Bashar Assad. The peacekeepers were released two weeks later. Both the release of Curtis and the Fijian peacekeepers was secured after extensive mediation by the tiny Gulf state of Qatar, a U.S. ally that has successfully negotiated for the release of numerous Western hostages in exchange for hefty ransoms. 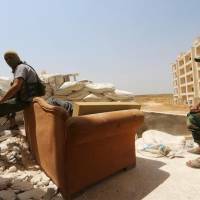 Nusra has seen battlefield successes in Syria’s Idlib province, including the capture of the provincial capital. However, U.S.-led coalition airstrikes and Russian bombing raids have reportedly targeted the group in Syria.